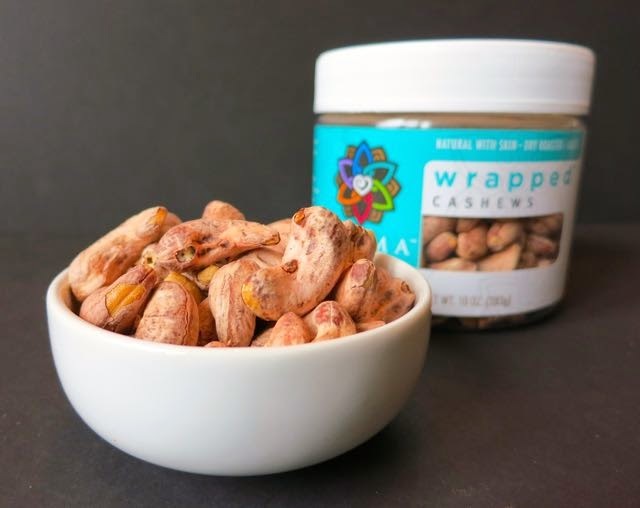 I'm going nuts over Karma's wrapped cashews! The truth is that I eat nuts every day. Cashews, specifically, contain high levels of essential minerals like iron, magnesium, phosphorus, zinc, copper and manganese. But, most of all, I like them because they are super tasty and that is what really matters! 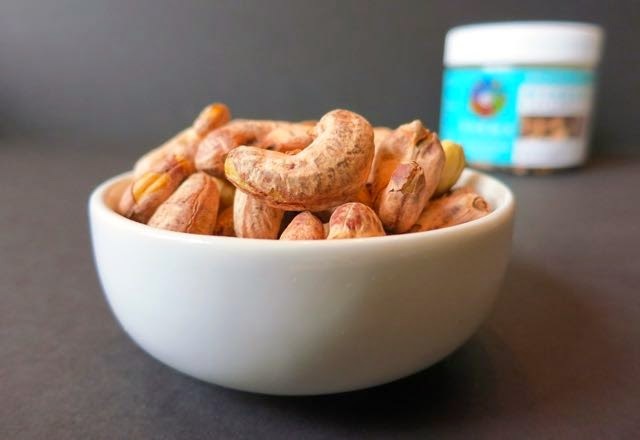 Karma is a company that has taken the already tasty cashew and made it even better by roasting it in its own skin. It's revolutionary in the nut world! So not only do they look super cool, they also have a unique flavor because they have this flaky skin wrapped around them. The skin is slightly crunchy so when you first bite into the cashew, you get the flaky, crunchy skin that then reveals a perfectly roasted cashew inside -- slightly salted, but not overly so. 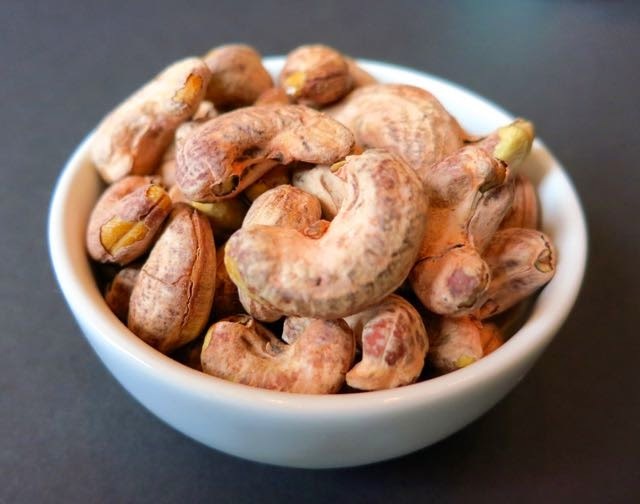 These cashews are air roasted to keep them mininimally processed and healthier than other cashews that are fried in oil. They use a hint of sea salt to enhance the natural cashew nut flavor. And the skin doubles the fiber as compared to regular cashews! The wrapped cashews have four grams of protein per 1/4 cup serving size and two grams of fiber. So, yes, I'm going cuckoo over wrapped cashews. I'd say they'd be a hit for a party, but with a price tag of $12.49 per 10-ounce container, you may want to keep these for yourself. I know I'm not sharing. To try them for yourself, order them here. Full Disclosure: Although these nuts were provided to me for free to review, that in no way influenced my veracious opinion. They are amazing, everyone who tries them loves them!